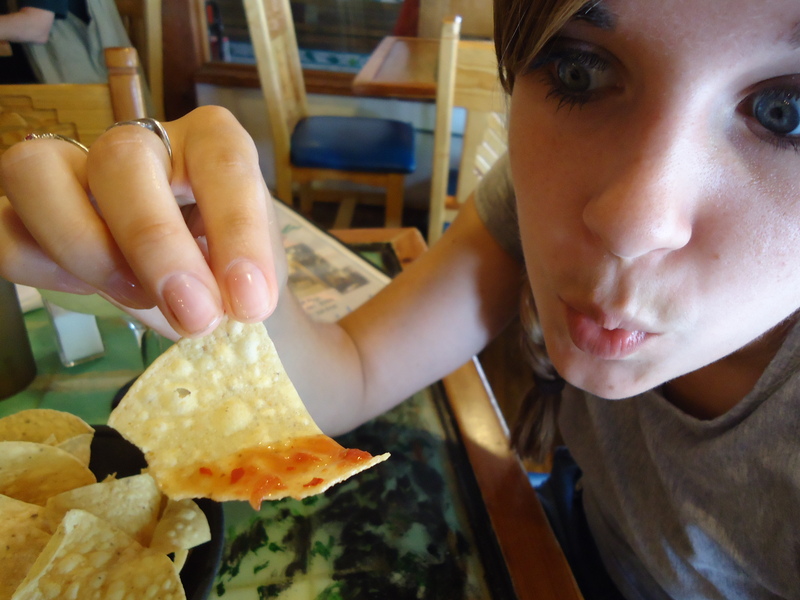 We adored New Mexico. Maybe it was because the desert landscape is completely different from the East Coast. Maybe it was because of the huge diversity of the state, with large Native American and Hispanic populations. 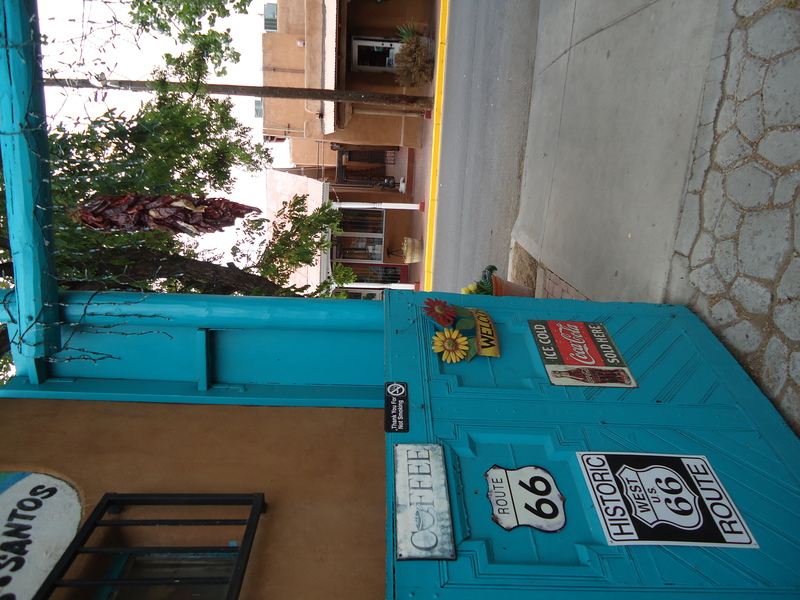 Or maybe we had no power against ‘the Land of Enchantment’ taking us in and making us fall in love with it. 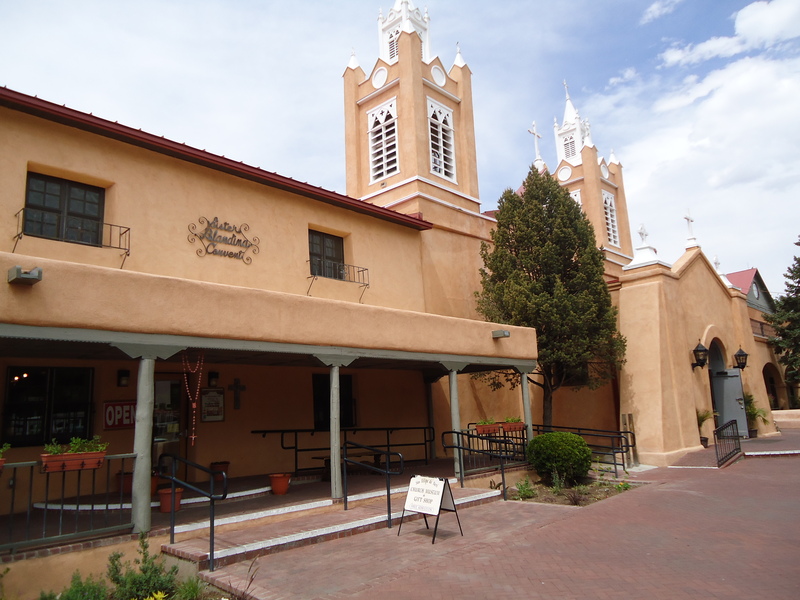 Just walking around the Old Town of Albuquerque transports you to a sleepy world where churches date back to the 1700’s and red-roofed adobe houses surround you. 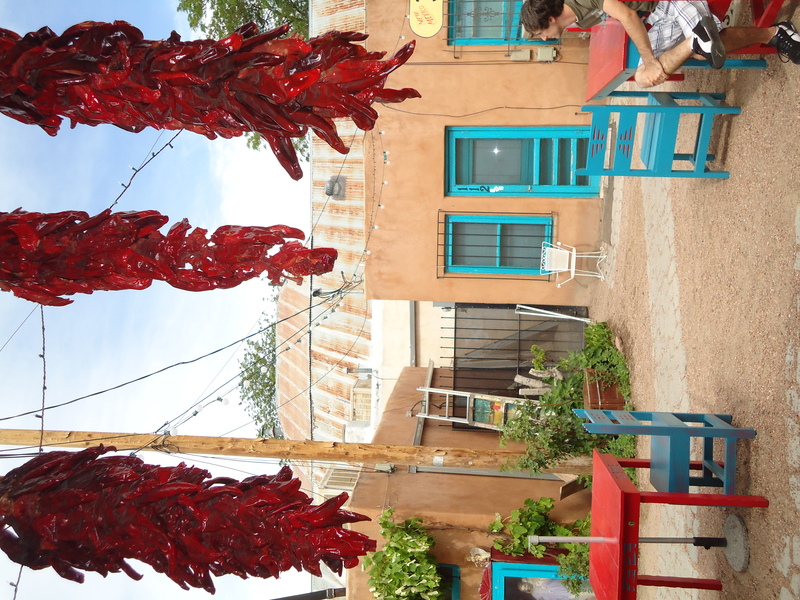 But one of the things that really struck us about Albuquerque was the chili peppers hanging on every corner. Aren’t they beautiful? 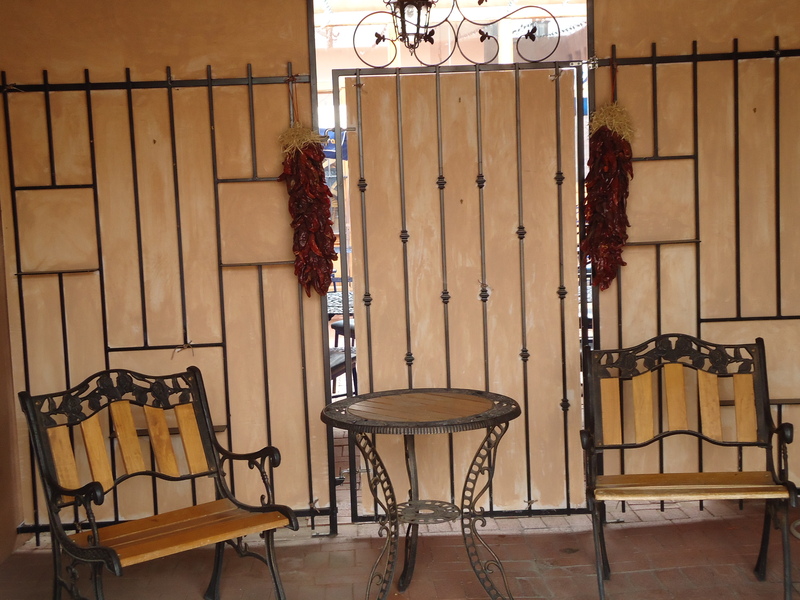 We loved the character they gave to the city, and it didn’t take us long to figure out why these red chili peppers are so easy to find. 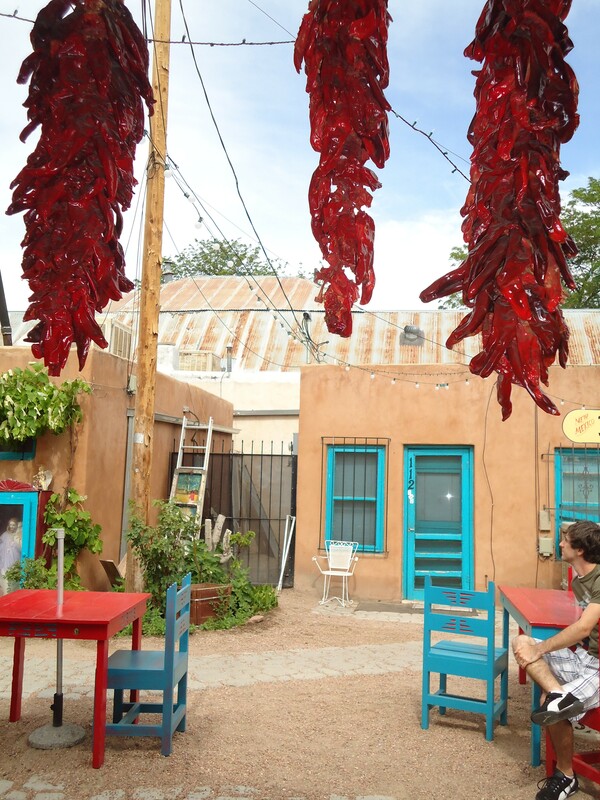 New Mexico produces ALL the chili peppers for the rest of the nation. This huge crop is an abundant and essential addition to New Mexican cuisine; it’s so important that the state’s official question is ‘Red or Green?’ referring to your preference of red or green chili peppers in your food. But the reason why you’ll see them hanging all over the streets is because in the summertime red chili peppers aren’t readily available. 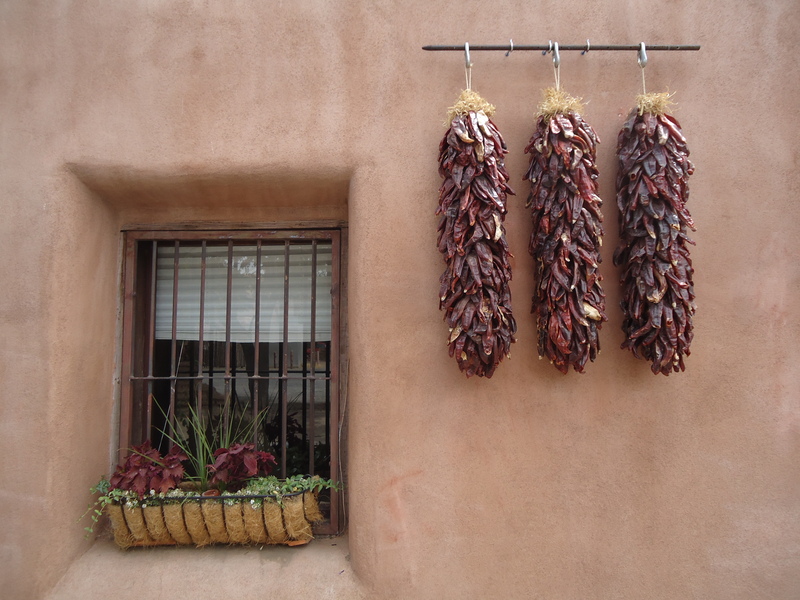 So you buy your red chili peppers in autumn, hang ‘em up to dry and take one down as needed to spice up your life. Pretty cool, isn’t it? Where will you be Monday? So glad someone else liked them! haha Dan thought I was crazy for taking so many pictures of them. Thanks so much, we definitely hope to!! Oh my gosh! 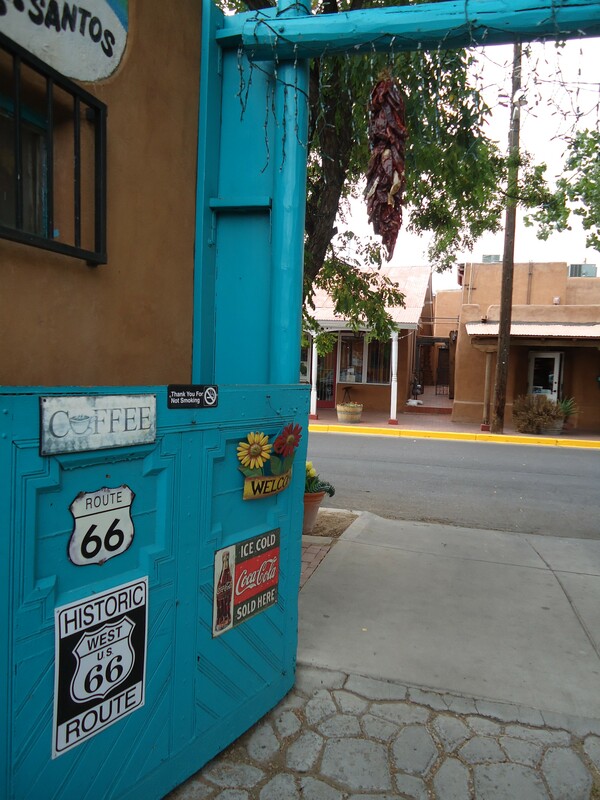 I wish I were in NM when you came through! My hometown!!! So glad to find an out-of-stater who loves the Land of Enchantment as much as I do! Glad you had a good time!!! Hi! We’re Dan and Casey! Lovebirds, world travelers, and adventurers extraordinaire. A Cruising Couple is for those seeking adventure travel with a dash of class. Read more about us here. Shopping at Wufenpu in Taipei: What's the Deal?